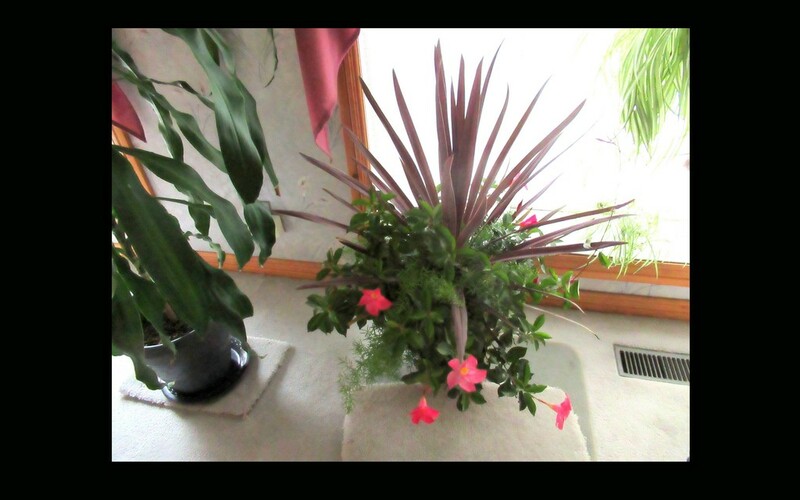 I brought my mother's day plant from my son and his family indoors to see if it will continue to bloom. the flowers are called Dipladenia. It get enough sunlight through the two big bow windows. This was @pyrrhula Pyrrhula's suggestion. will let you know over the next months or so if it is going to survive. 10 degrees today and sunny. will go outside for a walk after being cooped up for a week. It is beautuful. I'm sure it will be happier inside than outside in 10 degree weather. The best thing you can do. Give the a bright place and lowest temp. they can survive. I use an empthy room for it with +/- 15 degrees Celc. so they stop growing and needed less water. This I do because the light is very limited in winter and plants need light to grow.